Domingos Canelas, owner of Botequim da Mouraria. This place has been on my mind for the past two years. It doesn’t have any Michelin stars or accolades in International magazines, but when Prince Phil and I had visited Évora on our first culinary research trip to Portugal a couple years ago, I’d heard that this tiny 9 seat bar in the heart of the old Moorish quarter of the city was a sort of shrine to the gastronomy of Alentejo, and really to Portugal as a whole. Unfortunately for us, it’s next to impossible to get a seat if you’re not among the first diners there, and we missed out. I wasn’t going to miss out this time, so Susete and I arrived before it opened at 12:30 to claim our spot. 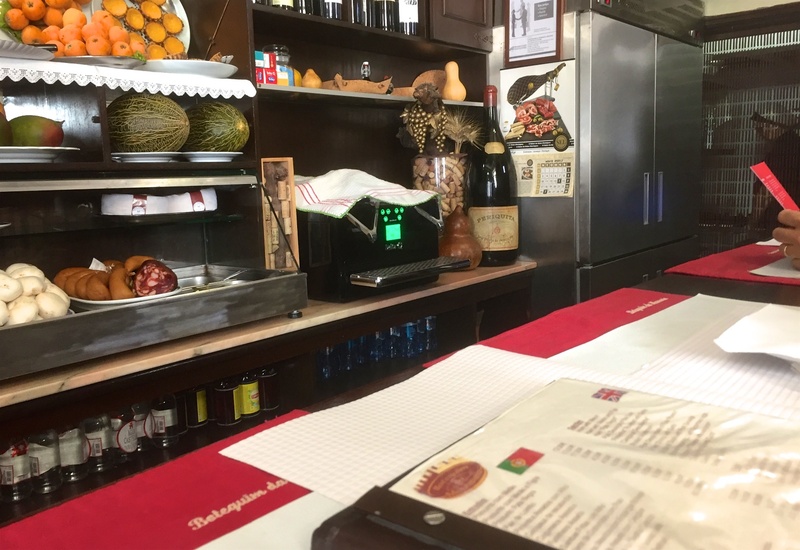 A Spanish couple sat at the end of the bar, and quickly got into a couple bottles of local wine, recommended by the owner, Senhor Domingos. A couple of older British gentleman sat to our right, and another Canadian couple had just sat down on our left, taking the last spot for the lunch service that day. Anyone else who came in next would either have to wait a couple hours and hope they get in before service is over, or just come back on another day. Senhor Domingos took care of each couple one at a time, not worrying about trying to rush to the next diners…. he wanted to make sure you were well taken care of before he moved on. That’s just how they operate there… if it’s slow, too bad. No one gets only half of his attention. It takes time to enjoy a good meal. As Domingos expertly ran the one man front-of-house service, his wife Florbela was the lone Chef in the closet sized kitchen. Yes, I’ve heard about the reputation of this place before, but we really didn’t know that our anticipation would end in us being served one of the best meals we’ve ever had in our lives. The Alentejo region is literally 1/3 of Portugal’s total size, and is the heartland of Portuguese gastronomy and agriculture. The cuisine from this region is one of my favourite regional cuisines anywhere. It’s ultra-local, and is a direct result of the layers of history that have built this country. With the population of Alentejo traditionally being more on the poor side (as it sadly seems with many agricultural communities), the food tends to be quite simply prepared, with very little fuss. Fortunately, the one necessity of simple food, is also its strength – some of the best quality ingredients you will ever find. When food is this good, the less you do, the better. 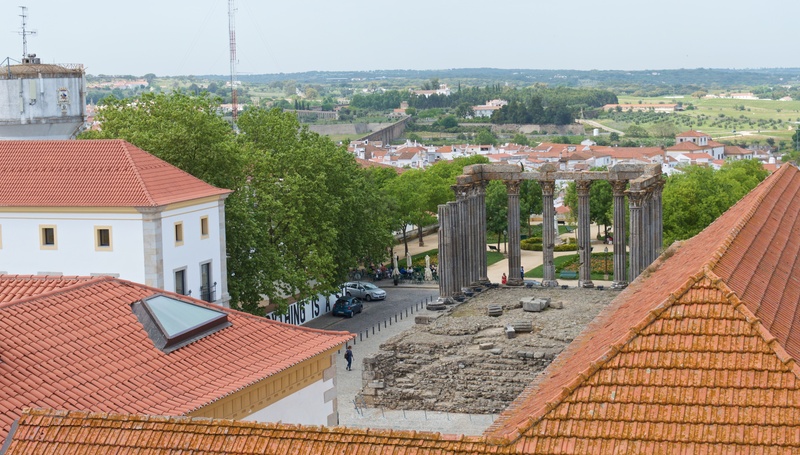 Évora is the capital of the Alentejo region, and its importance began when it became the central hub of the ancient Roman province of Lusitania (named after the local Celtic tribe that they conquered). This city is the largest in the region, and overflows with history. UNESCO designated the city centre as a heritage site, with its 14th-century walls completely enclosing the narrow winding streets that remain from the Moorish layout. The central monument is an old Roman temple built in the time of Augustus (1st century), while there’s also the unique Capela dos Ossos (Chapel of Bones) and the second oldest university (1559) in Portugal. In the shadow of all this history is the fact that Évora is also one of the best food towns in the whole country. The Roman name for this city was Ebora Cerealis, due to it being a centre of wheat production centre for the entire empire. This city was always meant to be a food town from the very beginning, and Botequim da Mouraria is the king. Looking down on the Temple da Diana – 1st Century Roman temple. There are no tables at this bar run by Domingos and Florbela Canelas. The name literally means “Bar in the Moorish Quarter”, which couldn’t be more accurate of a description. For years now, Botequim da Mouraria has been a temple for visiting chefs, food-lovers and locals alike, yet the Canelas’ have no plans to ever expand, even though they are completely full every single day. They claim that’s their secret… maintaining quality is only possible by remaining small. It’s such a refreshing thing for me to hear, coming from the ambition-heavy Toronto restaurant scene. They aren’t worried about more volume, or how many times their dishes are posted on Instagram. All they care about is putting smiles on the faces of each and every single person who sits down. The tiny space at the bar. 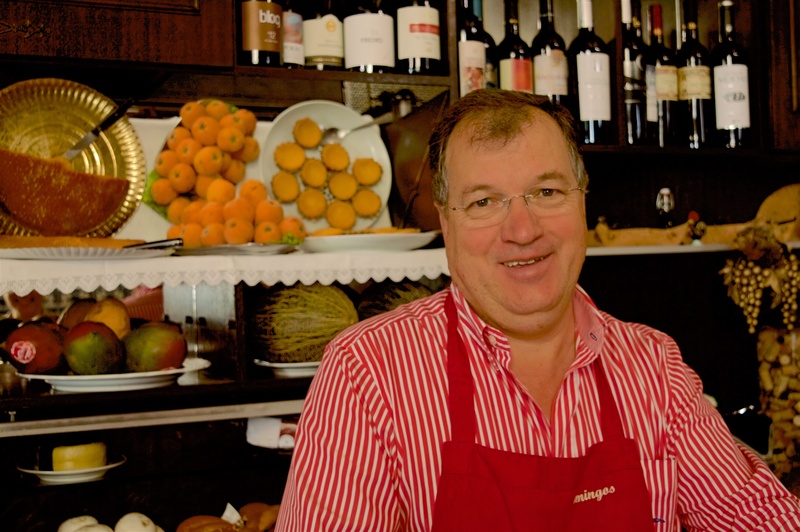 Vineyards surround the Évora region, and Domingos has amassed a really impressive wine menu. Sitting on the top shelves behind his bar, he also proudly displays his own personal private collection that’s not for sale under any circumstances. Money isn’t a factor for him, quality is. He takes his time pairing the right bottle for each customer without trying to upsell to the more expensive offers. Domingos believes that you don’t always need to spend a fortune to enjoy good wine…. in my experience, this is definitely a reflection of the Portuguese wine mentality overall. Florbela sources only the best of ingredients from local suppliers. Olive oil and pork are culinary specialities of the Alentejo region, and grown locally, are among the best in the world. My heart flutters like a teenager in love every time I think about the fact that you can get a 5 litre jug of some of the best olive oil in the world for about only $30 CDN. It’s no wonder that so many Portuguese dishes are served with a healthy glug of olive oil to finish… that’s really all you need. When I’m in Alentejo, I ALWAYS search out menus that offer porco preto dishes (which is actually most of them) because my love affair with black pork from this region is never-ending. This is the best pork anywhere in the world, and I will stand by that no matter what other claims are made from anyone else. I can try to describe to you what it’s like to eat this pork, but no words that I use will ever do it justice. Descriptions can’t possibly convey the sensation on your palette when you eat a secreto cut from a black Iberian pig that lived roaming the Alentejo countryside, feasting on ballotas (acorns) from centuries old Oak trees. It wouldn’t be fair to compare it to anything that we’re used to back home in Canada… and believe me, we do have some damn fine locally-grown pork in Canada too, if you know where to look. Eating Alentejo pork is like speaking another language. The brain just can’t comprehend what it may be like if you’ve never had it and try to match what it may possibly taste like, as you think about your own image of “pork”. No joke, I’m pretty sure that little tears start to well up in my eyes every time I think about it. If I ever need to pick a last meal, this secreto do porco preto will be it. 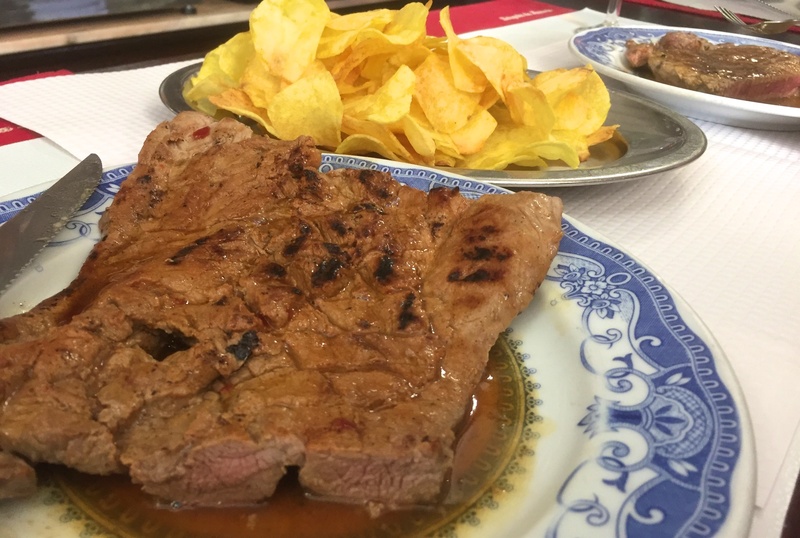 Although pork is king here, and will never lose its title, Susete ordered a bife a casa (what we know as “steak”), and dammit… it turned out to be one of the most amazing steaks I’ve eaten in my life. I’ve said lot of things are the best I’ve had in my life, I know… but it’s all true. Florbela can COOK! This woman would put any high-end chef to shame. She doesn’t put out anything fancy, but she only works with the best ingredients, and every single dish that comes out of that kitchen may as well be coated in gold… and she does it all by herself. With an influx of tourists to this charming medieval UNESCO town, and a strong university student base that gives it a young vibe to mix in with the traditional population, Évora has one of the best restaurant scenes in Portugal. It may be unexpected to many people, but it really shouldn’t be. The city is perfectly situated for a strong gastronomic heritage, with influences from several cultures throughout its history, and being surrounded by endless olive groves and vineyards… not to mention that it’s home to the land where the gold-standard of pork comes from. 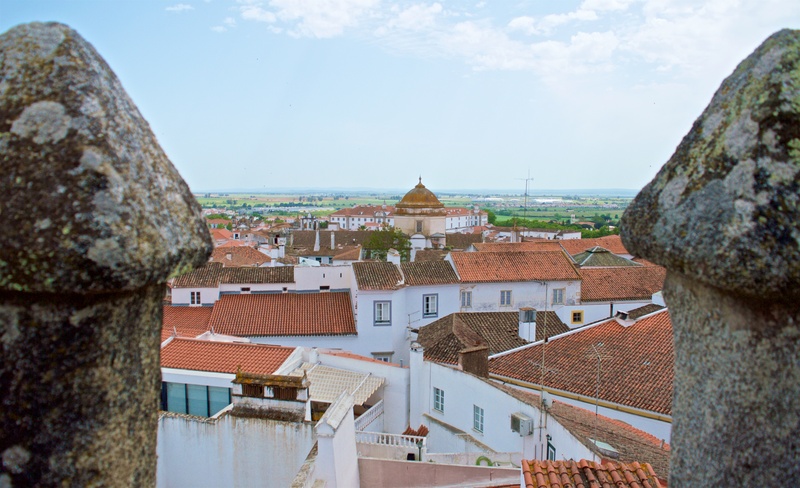 There are certainly more tourists venturing to inland Portugal these days, with Évora being their primary stop, and I certainly hope you don’t skip out on a chance to go there when you visit this amazing country. They don’t take resos, so make sure you get to Botequim da Mouraria by about 12 at the latest (or 6 if you’re going to dinner), claim your spot in line, wait a half hour for it to open, and I promise you that you will have one of the best meals you’ll ever experience. 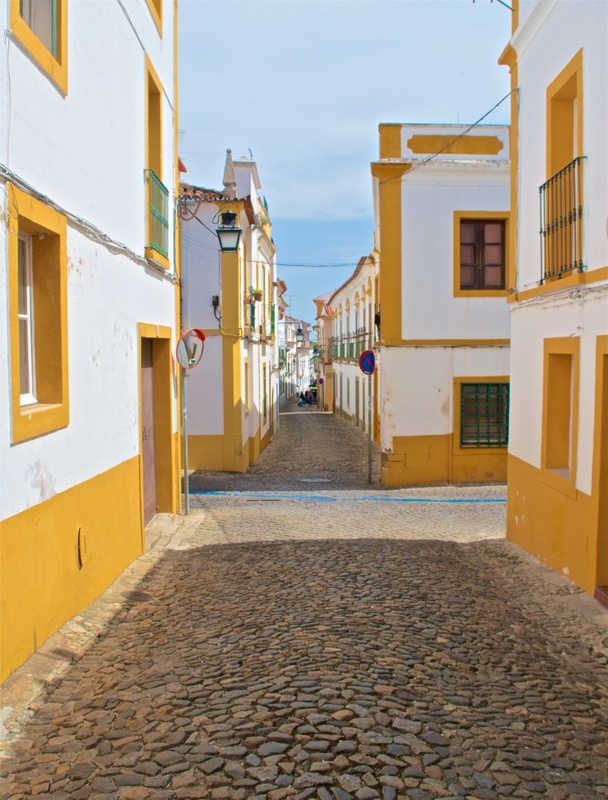 Charming narrow streets of the Moorish quarter in Évora.